If you are going to buy Health Insurance than do wait, Narendra Modi Government may soon announce the "Universal Health Insurance Scheme" for people of india. This will be again one more cheap health insurance (like Pradhan mantri suraksha bima yojana) where you will get coverage from Disease and cash less treatment at selected hospitals. 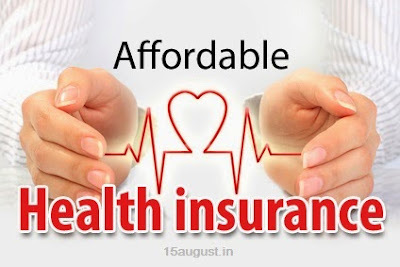 Universal Health Insurance by Government of india will give you cover to disease or any medical emergency to you and your family up to Rs.50,000/- to Rs.100000, for family of five people. Also, senior citizen also will get much more benefit of this health insurance. Age limit :- 60 years (below 60 years people can take this health insurance). As per the information, Prime Minister may soon announce this health insurance scheme very soon. As last year Government of india announced Atal Pension Yojana, Pradhan mantri suraksha bima yojana, and PM Jeevan Jyoti Bima Yojana, this year its health insurance from GOI. There are very high need to Health insurance for Indians, specially Poor man and middle class people. Who can't afford to have high health insurance, so here is free or almost cheap health insurance from government of india. Why we need Health Insurance? At the list of countries by life expectancy, India stands at 139 rank. We have average life expectancy of people is 66 years only. Where highest rank goes to Japan, who has 84 years of life expectancy. Means Average life of years in india is only 66 years. If we want to become world leader, we need to improve life expectancy rate. Today, many people don't get proper treatment for disease and they died. Those who can't afford high hospital charges, can now do treatment at hospitals with Universal Health Insurance Scheme. So far, we are going in right direct. We have jan dhan yojana by which every indian have bank accounts, Atal pension yojana which gives assurance of Rs.5000/- per month of minimum monthly pension, 2 social security schemes which assures you before death and after death. To boost save girl child, GOI announced Sukanya sunidhi yojana and much more. PM Modi who achieved 27 best thing in 1st year of governance, is now ready to move forward. we will keep you update with more information as soon as Universal Health Insurance Scheme announced.